Matthew is getting tired of waiting for the cancer to finally claim his eccentric aunt Annemarie. So he decides to help nature take its course… by adding some morphine to Annemarie's beloved tea. 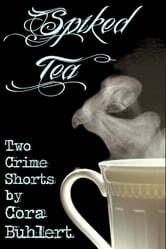 This is a collection of two short stories of 4400 words or approx. 17 print pages altogether.